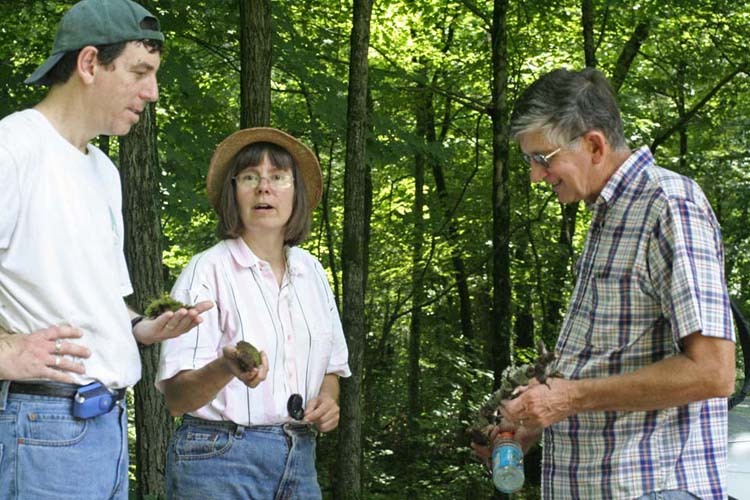 The OMLA organized a one-day summer foray for Zaleski State Forest, located in Vinton County, Ohio. The primary purpose was to add to the known list of mosses and liverworts, which have been undercollected in this county. A total of 11 participants traveled to 5 different sites, representing a wide variety of habitats within the State Forest, including acid mine drainage wetlands dominated by Sphagnum and Bald Cypress, sandstone outcrops, riparian forest, and an ephemeral stream community containing small waterfalls and a cove. A total of 61 mosses and 12 liverworts were collected. 32 of the mosses and all 12 of the liverworts were Vinton County records. One of the best finds was Orthotrichum sordidum, collected by Bob Klips, which was known from only one other Ohio County. Two other notable collections were made by Barb Andreas: Hookeria acutifolia and Fissidens raveneli, both of which were known from only 6 other counties. A full listing of all bryophytes encountered during this foray can be found in the January 2007 issue of the OBELISK. 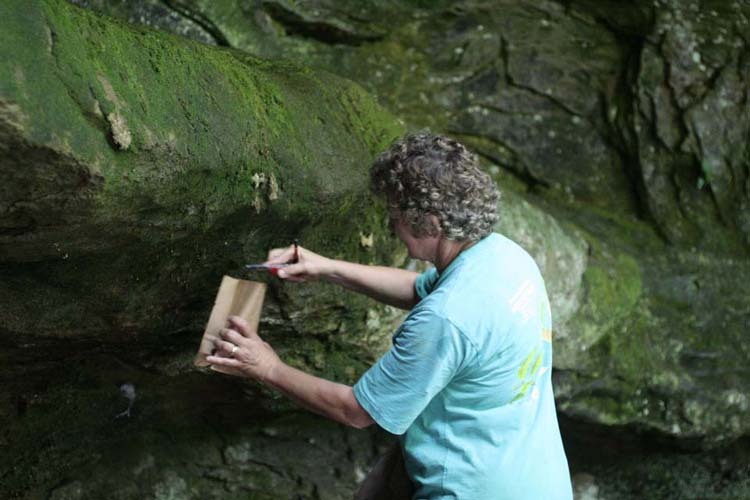 Barb makes a collection along a shaded sandstone outcrop in Zaleski State Forest. Brian’s idea of marketing a “pet moss” is met with skepticism by Janet and Ray. 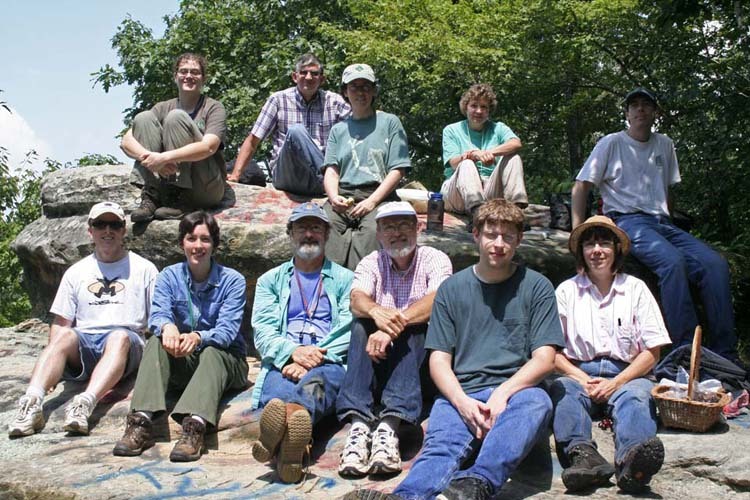 Participants of the 2006 Summer Foray on Lookout Rock (Zaleski State Forest) in Vinton County.